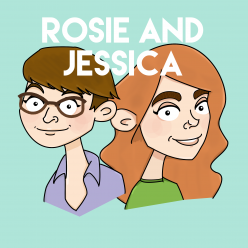 In episode 32, Rosie and Jessica head out for an adventure in Hobbycraft, via Pets at Home. Fireworks have been avoided, Romy and Michelle’s High School Reunion has been watched, and Rosie and Jessica bring you their Top 5 things about the winter drawing in. This episode contains some quite disgusting doughnut related noises.